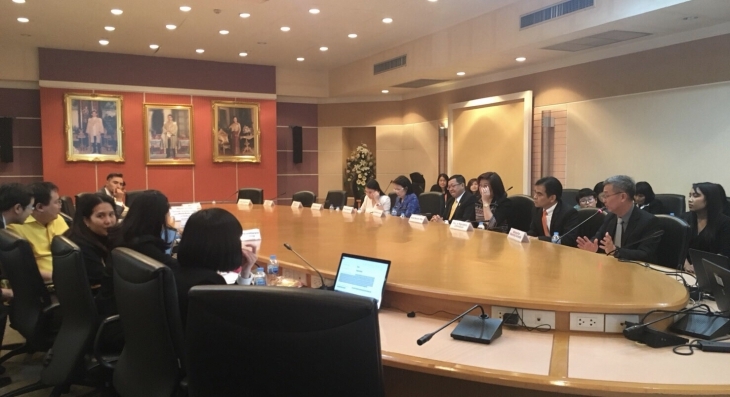 Mr. Wajee Pitakprajyakul, Assistant Governor of the Metropolitan Electricity Authority (MEA), was accompanied by MEA directors and officials to clarify and provide information to the research team of the World Bank on Thailand’s ranking on the World Bank’s Ease of Doing Business in 2019 on May 15, 2018 at the Office of the Public Sector Development Commission (OPDC), Bangkok. The Assistant Governor said that MEA has been committed to continually improving its service systems and service quality. 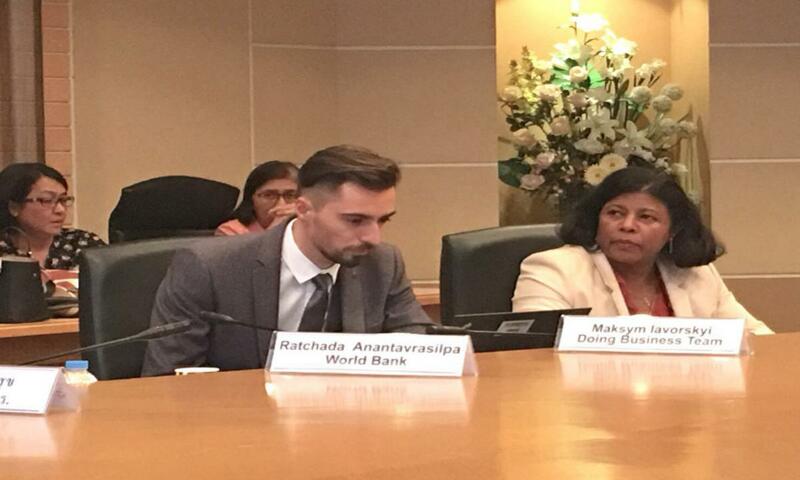 We are proud to be an agency providing electrical systems in Thailand and always supports the government sector in providing information to the research team of the World Bank to consider Thailand’s ranking on the World Bank’s Ease of Doing Business in 2019 – an issue taken seriously. Thus MEA has improved the speed of its payment system, continually developed service innovations by using the latest technology to provide convenience online to electricity applicants through MEA Smart Life Application and MEASY – MEA’s website for electricity application. Applicants do not need to commute to MEA staff anymore. Wherever they are, they can apply for electricity use and hence they can save time. They will also be immediately notified of their electricity bills while payments can be made through various channels and work progress can be monitored in every step. Moreover, MEA has also been equipped with Geographic Information System (GIS) – a digital map with a scale of 1:1000 and a high standard spatial map which contains details and maintains accurate dimensions to assist on design, installation and maintenance of the electricity system for more convenience and less time. MEA has also provided trainings on indoor power system installation to electrical contractors catering to residents and businesses to create a network of quality contractors who can accurately provide indoor power system installation in accordance with MEA’s standards for high efficiency and safety to save time and shorten the electricity application process. Consequently, MEA will be more trusted as an electric utility by the public and the businesses, luring more foreign investors and boosting sustainable economic growth. MEA is always committed in constantly improving and updating services while providing fast and efficient electricity installation assistance to satisfy all applicants. 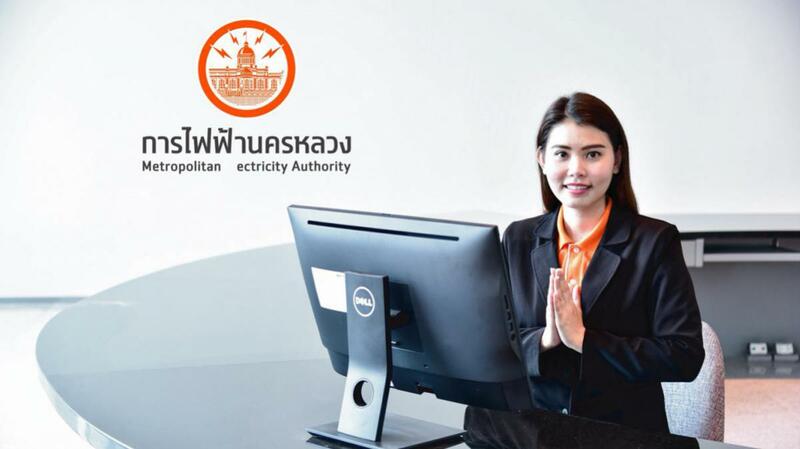 Our ranking on the World Bank’s Ease of Doing Business in Thailand 2019 index – Electricity Application – is higher than the 2018’s result, as the world’s 13th, making application for electricity in Thailand the fastest and most convenient system in ASEAN. Currently, the World Bank’s Ease of Doing Business index reveals Thailand, in the category of electricity application, is ranked as ASEAN’s No. 3 and the world’s No. 13 behind Malaysia (ASEAN’s No.1 and World’s No. 8) and Singapore (ASEAN’s No. 2 and World’s No. 12). 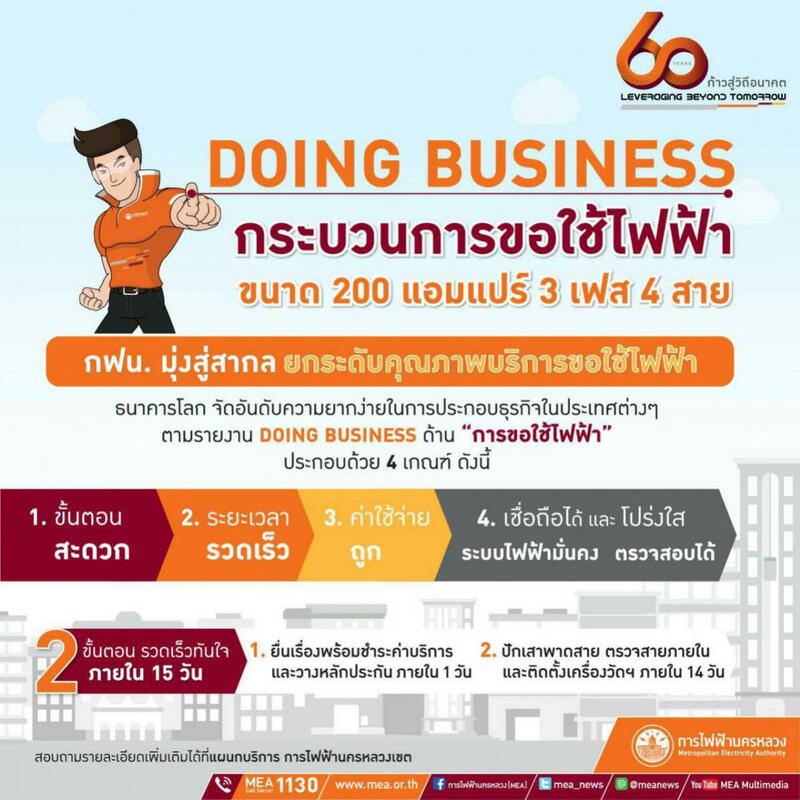 Details of MEA’s Doing Business Services can be found at the MEA website or click on www.mea.or.th/minisite/doingbusinessinbkk/. For more information, please dial MEA Call Center 1130, anytime around the clock.